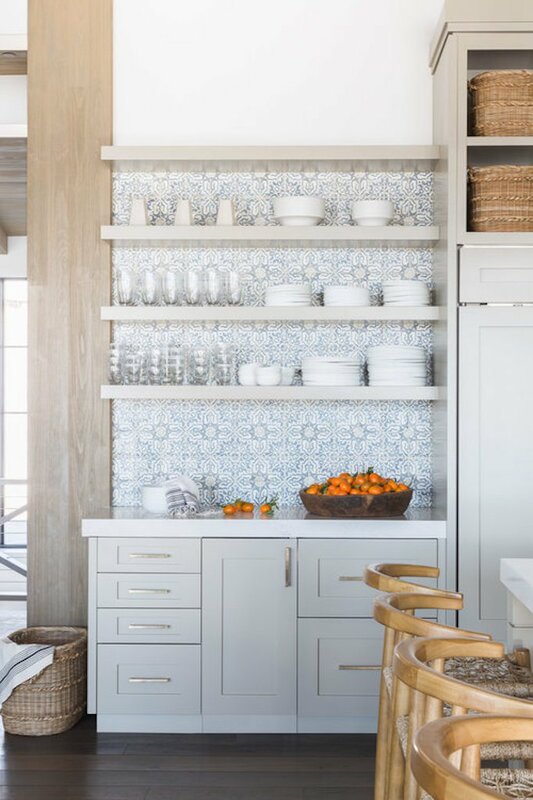 One of our favourite current trends is: colourful patterned tiles. We incorporated this idea into the designs of a few of our most recent homes. 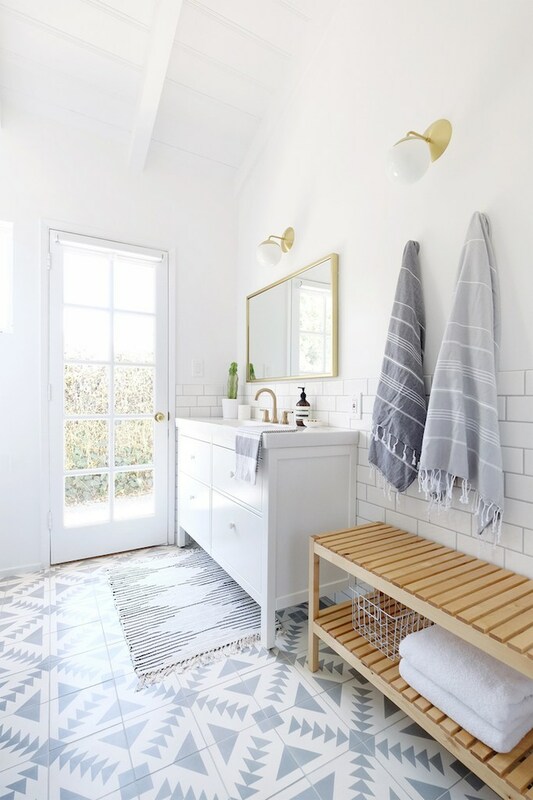 Whether used on the floor, in a shower, surrounding a fireplace, or as a kitchen backsplash, patterned tiles are a great way to add your own personal stamp to your home! 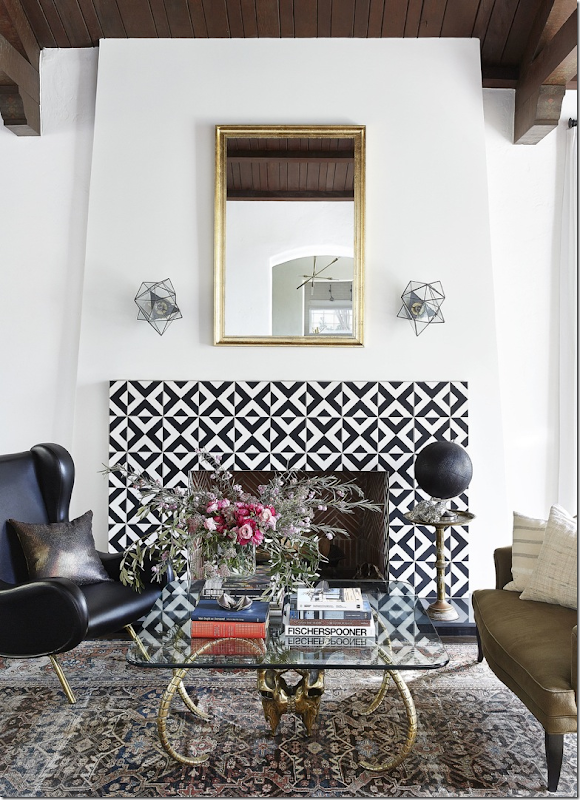 In our timberframe home in Caledon, we designed a compelling tile pattern on the fireplace surround. 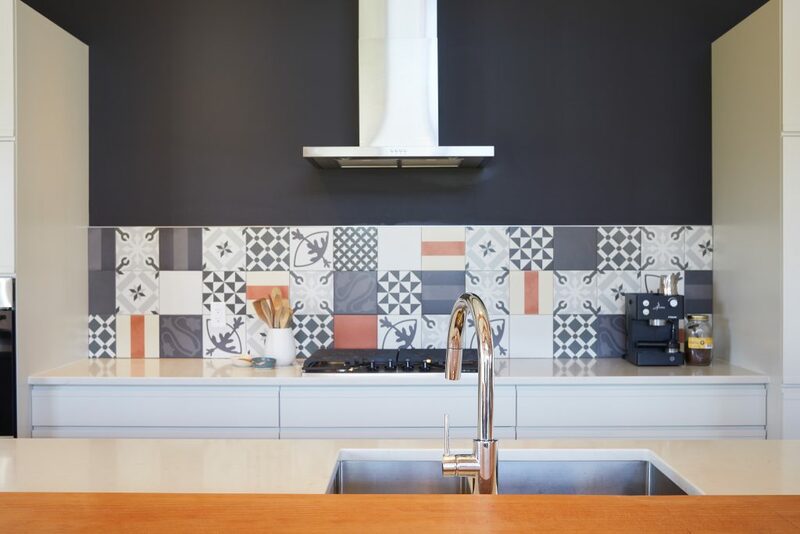 Using tiles from Mettro Source in Toronto, we created a beautiful visual focal point, invoking a Scandinavian ambiance with a small black and white tile pattern that we coordinated carefully with the kitchen backsplash. 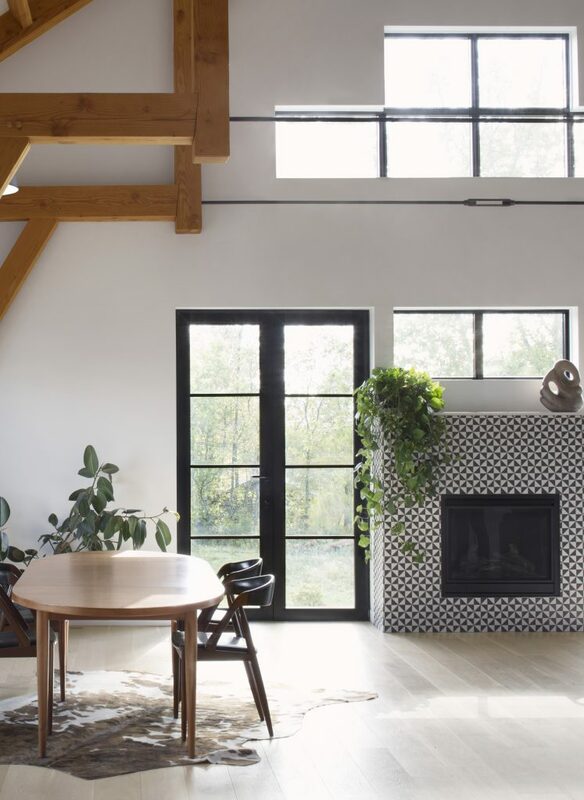 The fireplace isn’t a conventional “sit around the fire” type of fireplace; rather, it’s a stand alone feature of the room. Also, since our fireplace wall had no room for art, the fireplace and its eye-catching tile surround does double duty as art. Meanwhile, in the kitchen, we were looking to add some colour and pattern to the dark back wall. The house is basically white with the rich coloured timbers so we wanted to create a contrast in the kitchen. 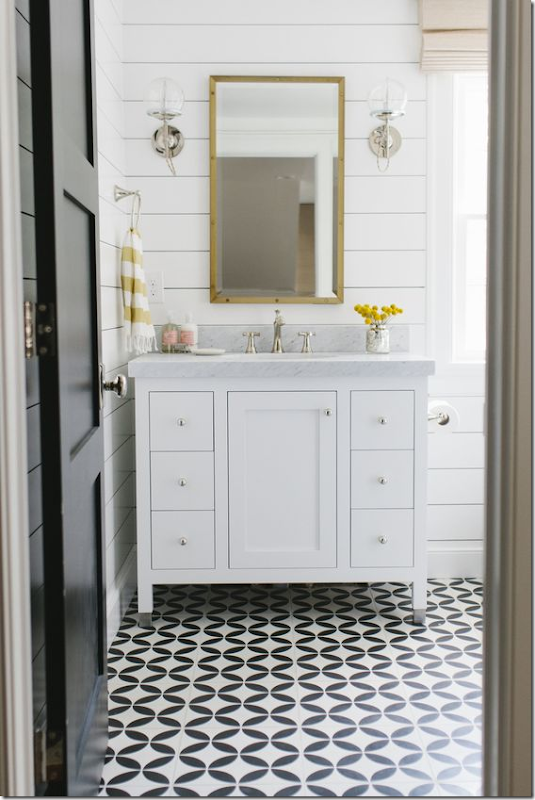 The mixed patterns of tile used give it a cool and distinct feel, almost like a piece of art. 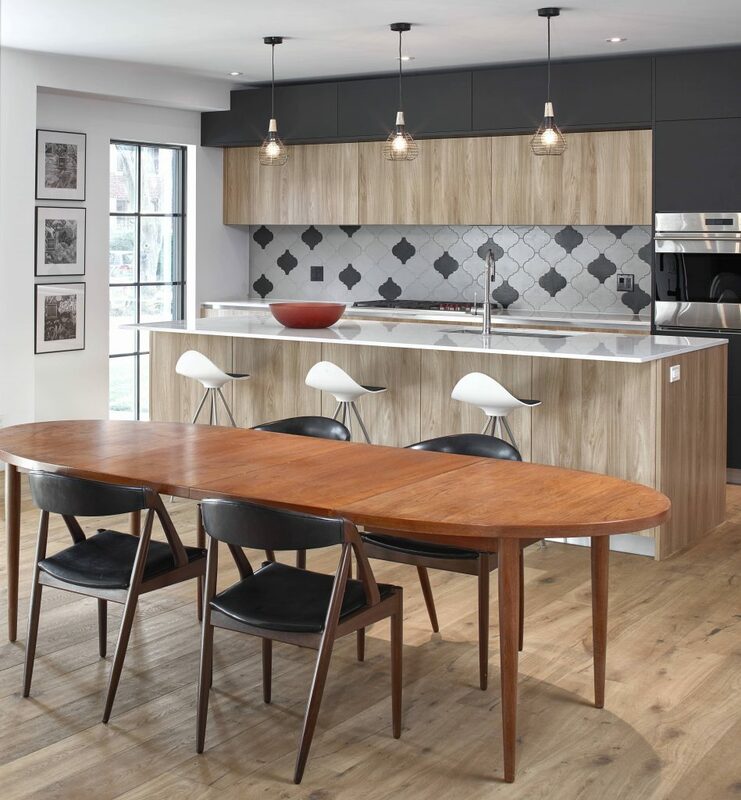 In our latest build in Leaside, we used tiles in the kitchen to add visual interest to this space which has very little colour. The backsplash is also from Mettro Source; they have a very eclectic selection of tiles, most of which come from Europe. 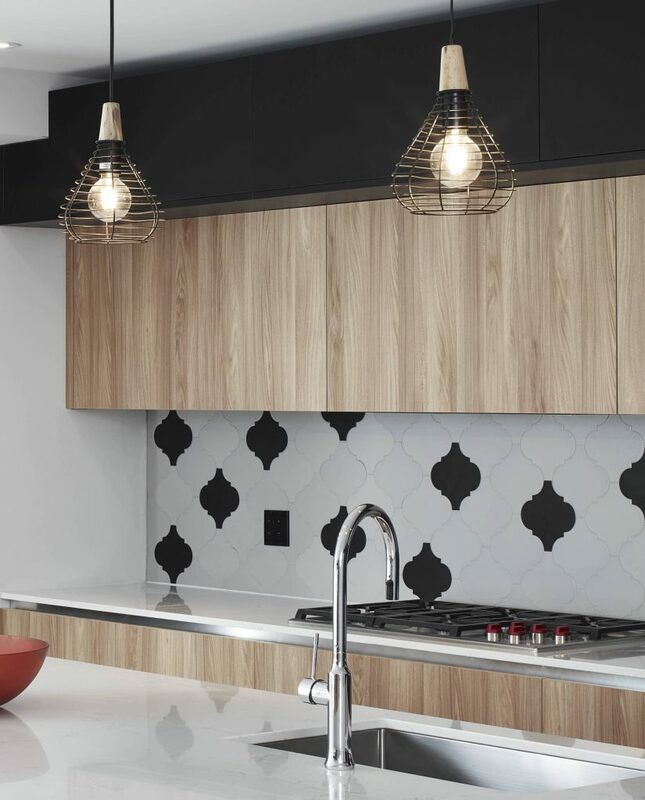 This specific tile is called Arabesque and comes in three colours: white, grey and black. We selected mostly grey tiles with a few black tiles to tie into the rest of the kitchen. It is a porcelain tile which is great for a backsplash as it is very easy to clean. As for the pattern, we asked the tiler to make it random. This gave the house some real European flair making it a lot more fun and more interesting. For more information about our designs or builds, contact us today.